The creations of J P Journe are some of the finest you will ever see and this from a man that some think should be called a Supplier rather than a brand in his own right. This because he assembles his watches from parts he has some 40 suppliers manufacture and finish to his exacting specifications. In house these are assembled, adjusted and tested. The watch dials are the start of any new model – he designs it first and then has the inner workings made to work the dial as it were, which is highly unusual. 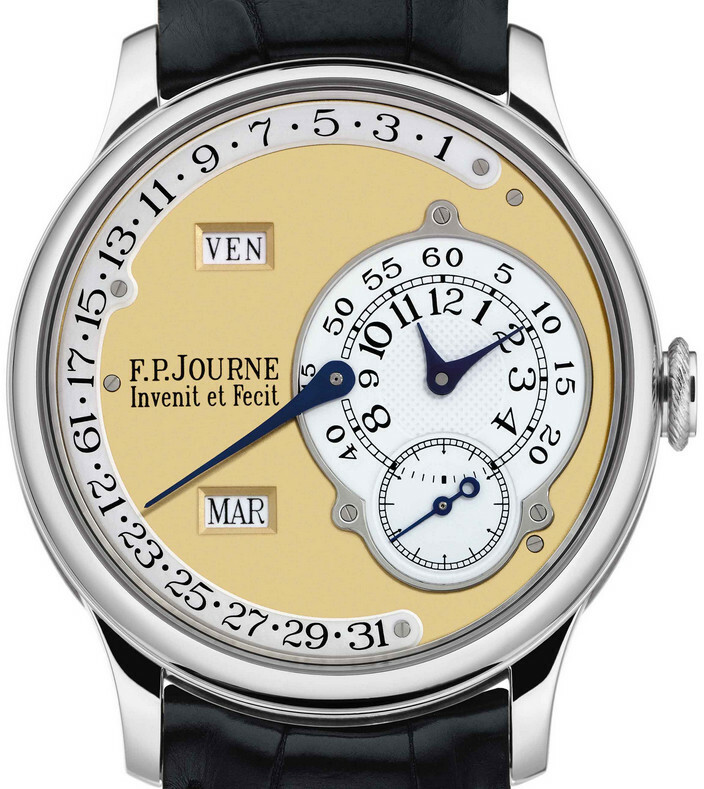 I think personally the detractors are missing the point as J P Journe models are really something to be treasured and admired. And as such you don’t see them too often coming up as pre-owned and for sale or auction . . .
For JP to infer that the global watch timing authority COSC is out of touch and hardly a challenge because he says the standards are too low being originally designed for pocket watches and somewhat meaningless for today’s wrist watches – are the words of a man very confident in himself and his product. He describes them as Chronometers without being COSC certificated and regardless of his critics. This must have upset the heavyweight movers and shakers of the industry somewhat – and who knows, maybe it needed or indeed needs such a challenge every once in a while to retain it’s relevancy. I have been fortunate enough to have seen a few of his models close up and in my hand so to speak – and for me they are utterly brilliant. So when one comes up for auction you can bet that I and a good few more folks beside, will be very interested indeed. I have added such a one to the Auction News page with a note of the estimate and will be very interested in the final hammer price. Detractors or not I see it doing rather well. The model is the Octa Calendrier. It’s a Cal.1300 Automatic with 22ct Gold Rotor in an 18ct Rose Gold 38mm diameter case – just like this one – and there’s not many of these around. I think in 2007 it cost around £16,000 perhaps?